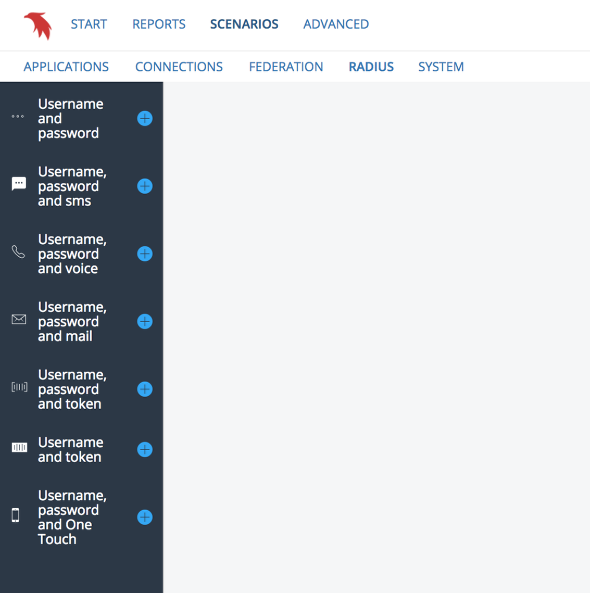 RADIUS scenarios lets an admin configure PhenixID server to act as a RADIUS server. Common usage is adding MFA to a VPN. PhenixID server supports multiple methods of authentication and can handle many RADIUS configurations with custom requirements. Even though a scenario does not fully meet the requirements it is a good way of getting a lot of baseline configuration done. From there additional configuration is quick and easy to deploy. Start configuring a scenario by click the plus sign.